Inverted marking paint marks the location on the ground showing the existing or proposed location of something. Also called “upside down paint” or “utility marking paint” it has been applied by land surveyors, utility location experts, loggers, fencing contractors, and even athletic field managers. To complete larger marking jobs the inverted marking paint can be used with tools such as paint wands, marking wheels, marking sticks, and spot markers. 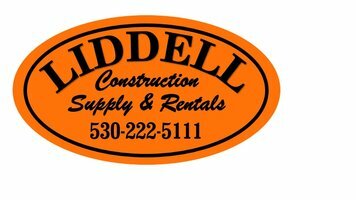 Liddell Construction Supply & Rentals carries only the best marking paint available for your industry. With these best selling brands, you don't have to worry about clogged nozzles and can focus on completing your job quickly and easily. These professional water-based spray paints remain visible while not freezing even in conditions well below freezing. These inverted marking spray paints work well for survey marking paint, temporary marking paint, athletic field marking paint, traffic lines and more. Marking spray paints can be used on nearly any surface including grass, gravel, dirt, wood, concrete, asphalt, metal, and masonry. We carry brands that provide exceptional quality in terms of initial color brightness color retention, adhesion, durability, and color consistency. These best selling brands have been formulated with superior quality that meets the requirements of the most demanding professional. Shop our selection of surveying and marking spray paint at Liddell Construction Supply & Rentals. Wondering if we have the right Marking Paint for you?